*Elji and the Galrass (Science Fiction Deal of the Day, Sponsor, Metaphysical & Visionary) by Colin Sinclair. Price: $3.99. Genre: Science Fiction Deal of the Day, Sponsor, Metaphysical & Visionary. Rated 5 stars on 1 review. 197 pages. Paperback version! ASIN: B07DZJ6LRZ. 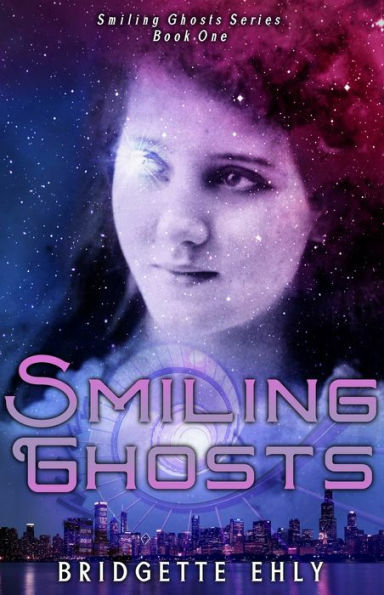 *Smiling Ghosts (Science Fiction Deal of the Day, Sponsor, First Contact, Arrogant extraterrestrials control the university and most of the earth) by Bridgette Ehly. Price: $0.99. Genre: Science Fiction Deal of the Day, Sponsor, First Contact, Arrogant extraterrestrials control the university and most of the earth. Rated: 5 stars on 6 Reviews. 365 pages. ASIN: B07HNFKV7S. *The Seer, Chapters 1-9 (The Other Side of Red, #1) (Urban Fantasy of the Day, Sponsor, Magnificent. Harry Potter air of magic is somewhat tempered by traditional Wiccan elements such as goddess worship and Samhain) by A. R. Curtis. Price: $0. 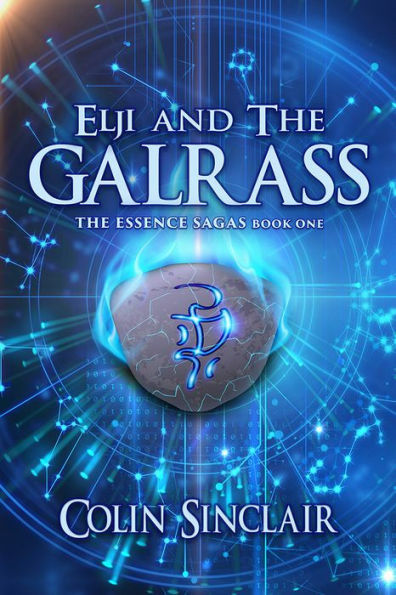 Genre: Urban Fantasy of the Day, Sponsor, Magnificent. Harry Potter air of magic is somewhat tempered by traditional Wiccan elements such as goddess worship and Samhain. Rated: 4.5 stars on 5 Reviews. 411 pages. ASIN: B07KFRDF91. *All Your Buttons (Romantic Erotica Deal of the Day, Sponsor, A small Midwest Town, 2 Nineteen Year Olds give in to all their temptations) by Rene Bouche. Price: $2.99. Genre: Romantic Erotica Deal of the Day, Sponsor, A small Midwest Town, 2 Nineteen Year Olds give in to all their temptations. Rated: 5 stars on 2 Reviews. 488 pages. Please also visit author’s website! Book 1! Book 2! Book 3! Book 4! Book 5! ASIN: B01EJXN9LU. *If She Were Blind (The After Twelve Series Book 1) (Steamy Thriller of the Day, Sponsor, Legal Thriller, If you like the television series Scandal and Revenge) by Laney Wylde. Price: $0. Genre: Steamy Thriller of the Day, Sponsor, Legal Thriller, If you like the television series Scandal and Revenge. Rated: 4.6 stars on 33 Reviews. 173 pages. Paperback version! ASIN: B07FY82KDJ. *Angels of Light: Beyond The Veil (Supernatural Mystery of the Day, Sponsor, A Conspiracy, A Ghostly Helper) by Mark Vance. Price: $0. Genre: Supernatural Mystery of the Day, Sponsor, A Conspiracy, A Ghostly Helper. Rated: 5 stars on 2 Reviews. 172 pages. ASIN: B07K34P8YW. *Christianity A Successful Failure: Finding Faith in an Age of Fear and Falsehood (Christian Book Deal of the Day, Sponsor, What’s Christianity, Why is Christianity a Successful Failure) by Timothy M Spiess. Price: $4.49. Genre: Christian Book Deal of the Day, Sponsor, What’s Christianity, Why is Christianity a Successful Failure. Rated 4 stars on 2 review. 651 pages. ASIN: B07H74SRLN. *The Unholy: A Novel (Supernatural Fantasy Horror Deal of the Day, Sponsor, Mystery) by Paul DeBlassie III. Price: $4.99. 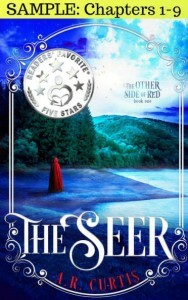 Genre: Supernatural Fantasy Horror Deal of the Day, Sponsor, Mystery. Rated: 4 stars on 87 Reviews. 299 pages. ASIN: B07BL2JQSB. *Case One ~ The Deceit (Trudy Hicks Ghost Hunter Book 1) (Paperback) (Paranormal Horror Deal of the Day, Sponsor, Ghosts, A Search for Ghosts, that might have gone too far) by Lori Zaremba. Price: $14.99. Genre: Paranormal Horror Deal of the Day, Sponsor, Ghosts, A Search for Ghosts, that might have gone too far. Rated: 4.8 stars on 26 Reviews. ASIN: B07NBWLTRZ. *Dragon Knight Chronicles: The Awakening (Science Fiction Deal of the Day, Sponsor, Space Travel Adventure, For All Ages) by Andrew Wichland. Price: $2.99. Genre: Science Fiction Deal of the Day, Sponsor, Space Travel Adventure, For All Ages. Rated 4.3 stars on 17 review. 122 pages. Paperback version! ASIN: B01GAFBQGA. *Wild Hearts: The Coming Night (Science Fiction Deal of the Day, Sponsor, Power Suits, Good Character Building, Enjoyable and Engaging) by Andrew Wichland. Price: $2.99. Genre: Science Fiction Deal of the Day, Sponsor, Power Suits, Good Character Building, Enjoyable and Engaging. Rated 4.5 stars on 6 review. 145 pages. Paperback version! ASIN: B07F43CY3F. *Shadow Life (Science Fiction Deal of the Day, Sponsor, Blends the societal intrusiveness of George Orwell’s 1984 with a sci-fi adventure in the style of George Lucas) by Jason Mather. Price: $1.99. Genre: Science Fiction Deal of the Day, Sponsor, Blends the societal intrusiveness of George Orwell’s 1984 with a sci-fi adventure in the style of George Lucas. Rated: 4.5 stars on 21 Reviews. 306 pages. Paperback version! ASIN: B077BWJ3RS. *Chosen (Demon Hunter, #1) (Horror Deal of the Day, Sponsor, Ben may have to finally embrace the parts of himself no sane person would dare to consider) by Adam Dark, Matthew Thrush. Price: $0.99. Genre: Horror Deal of the Day, Sponsor, Ben may have to finally embrace the parts of himself no sane person would dare to consider. Rated: 4 stars on 1 Reviews. 247 pages. ASIN: B07MS5NDW2. *Another Day, Book 1 (Delta Flight) (Science Fiction Adventure Deal of the Day, Sponsor, They are forced to survive in an alien environment replete with space pirates, starships, and technology beyond their wildest imagination) by Terry A Perrine, Brian Paone. Price: $3.99. Genre: Science Fiction Adventure Deal of the Day, Sponsor, They are forced to survive in an alien environment replete with space pirates, starships, and technology beyond their wildest imagination. Rated: 5 stars on 1 Reviews. 211 pages. Paperback version! ASIN: B07PJ57S19. **A Darker Shade of Sorcery (The Realmers Series, #1) (Horror of the Day, Sponsor, Dark Fantasy, A Wizard, Spy and Demon Hunter rolled into One) by William Collins. Price: $0. Genre: Horror of the Day, Sponsor, Dark Fantasy, A Wizard, Spy and Demon Hunter rolled into One. Rated: 4 stars on 93 Reviews. 410 pages. ASIN: B01A3L1PS6. ***Cold Lonely Courage: Novel war (ENC.ROMANS) (Historical Fiction Deal of the Day, Sponsor, A Woman takes on the Third Reich, A Brilliant recapture of the darkest realities of World War II) by Soren Paul Petrek. Price: $7.49. Genre: Historical Fiction Deal of the Day, Sponsor, A Woman takes on the Third Reich, A Brilliant recapture of the darkest realities of World War II. Rated: 4.4 stars on 326 Reviews. 364 pages. ASIN: B07MTML6CJ. *Forgotten By the Sun (YA Fantasy Deal of the Day, Sponsor, Sword & Sorcery, Occult) by Celeste Eismann. Price: $0.99. Genre: YA Fantasy Deal of the Day, Sponsor, Sword & Sorcery, Occult. Rated: 4 stars on 5 Reviews. ASIN: B07MZ5VSDK. *Pippin and the River of Wonders: A Voice for Wildlife (Children’s Books Deal of the Day, Sponsor, Excellent and Engaging Read for all ages, Teaches the importance of conservation and protecting animals) by DVM Stacey Gerhart. Price: $4.49. Genre: Children’s Books Deal of the Day, Sponsor, Excellent and Engaging Read for all ages, Teaches the importance of conservation and protecting animals. Rated 5 stars on 12 review. 103 pages. ASIN: B07NDLXWFH. *Live True: A Mindfulness Guide to Authenticity (Nonfiction Deal of the Day, Sponsor, Mindfulness, What it means to live in the present moment) by Ora Nadrich, PhD Ronald A. Alexander (Foreword by). Price: $17.95. Genre: Nonfiction Deal of the Day, Sponsor, Mindfulness, What it means to live in the present moment. Rated 5 stars on 47 review. ISBN: 0578432102. *Nacer con estigma, vivir con alegría (Non Fiction Deal of the Day, Sponsor, Spanish Self Help, Success Personal, Success and Self Help) by Bernardo García. Price: $15.99. Genre: Non Fiction Deal of the Day, Sponsor, Spanish Self Help, Success Personal, Success and Self Help. Rated 5 stars on 1 review. 185 pages. ASIN: B07NF3V7Q6. *Emotional Dimensions of Healthcare (Nonfiction Deal of the Day, Sponsor, A new era of healthcare that guarantees both longevity and a higher quality of life) by David Woodlock. Price: $3.99. Genre: Nonfiction Deal of the Day, Sponsor, A new era of healthcare that guarantees both longevity and a higher quality of life. Rated 5 stars on 1 review. 254 pages. Paperback version! ASIN: B072397JM4. *Departure From Indifference: Probing the Framework of Reality (Nonfiction Deal of the Day, Sponsor, We don’t get to choose the reality we want no matter how badly we want it) by Octavio A. Melo. Price: $2.99. Genre: Nonfiction Deal of the Day, Sponsor, We don’t get to choose the reality we want no matter how badly we want it. Rated: 5 stars on 1 Reviews. 84 pages. ASIN: B07P6MQQNW. *I Was a Teenage JFK Conspiracy Freak (Non Fiction Deal of the Day, Sponsor, History, A Comprehensive Look at the JFK Assassination and Various Conspiracy Theories) by Fred Litwin. Price: $2.99. Genre: Non Fiction Deal of the Day, Sponsor, History, A Comprehensive Look at the JFK Assassination and Various Conspiracy Theories. Rated: 4 stars on 14 Reviews. 274 pages. ASIN: B07HBS6QY4. *The Soulful Leader: Success with Authenticity, Integrity and Empathy (Non Fiction Deal of the Day, Sponsor, Business Leadership Guide) by Arthur P. Ciaramicoli. Price: $8.99. Genre: Non Fiction Deal of the Day, Sponsor, Business Leadership Guide. Rated: 4 stars on 5 Reviews. 131 pages. ASIN: B07N8YG5J1. *Leadsology: Marketing The Invisible (Business Non Fiction Deal of the Day, Sponsor, Learn Lead Generation for Your Business from an Inbound Lead Generation Specialist) by Tom Poland. Price: $9.99. Genre: Business Non Fiction Deal of the Day, Sponsor, Learn Lead Generation for Your Business from an Inbound Lead Generation Specialist. Rated: 5 stars on 2 Reviews. 330 pages. ASIN: B07H4CQLW6.